Setting the tone for the national election due by May, opposition parties at the rally declared they would fight unitedly to oust PM Modi and the BJP which, they said, was "past its expiry date". Mamata Banerjee is seen serving Hardik Patel, the Gujarat Patidar quota activist. Mamata Banerjee personally served snacks to opposition leaders who attended her mega unity rally on Saturday. The eclectic spread included litti chokha from Bihar, masala dosa from down south, Bengal favourites fish fry, luchi alu-dom and nolen gurer patishapta, chicken tikka, gulab jamun and hot Darjeeling tea. 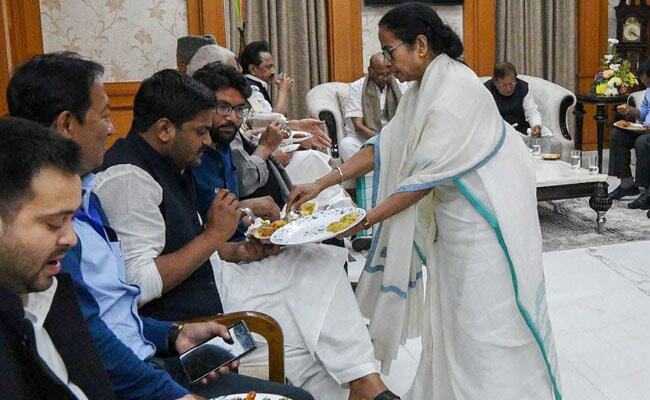 In a photo widely shared over the weekend, the Bengal chief minister is seen personally ladling food onto Tejaswhi Yadav's plate and also, separately, on Gujarat activist Hardik Patel's. The refreshments were served after Mamata Banerjee's "United India" rally at Brigade Ground in Kolkata that saw 23 opposition leaders share a dais, including from parties like the Congress, Samajwadi Party, Bahujan Samaj Party, Rashtriya Janata Dal, DMK and Aam Aadmi Party. Immediately after the rally, the leaders drove to Soujanya, an auditorium complex near the National Library, for tea and then a press meet. 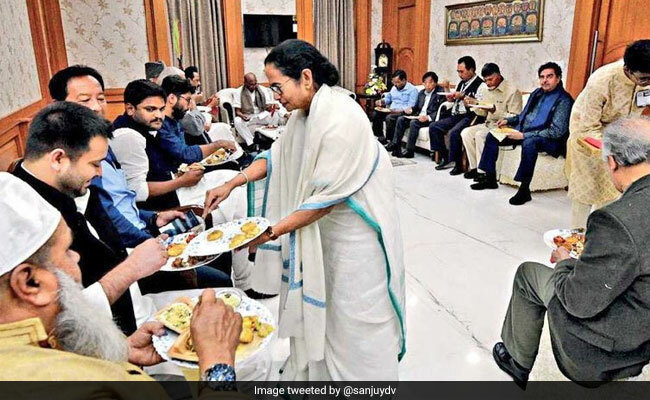 West Bengal Chief Minister Mamata Banerjee seen serving food to RJD's Tejashwi Yadav. I've been incessantly praising @MamataOfficial since yesterday but omg, she's so cute. Misogynist men, sitting cross-legged and making the lone woman serve food for them.